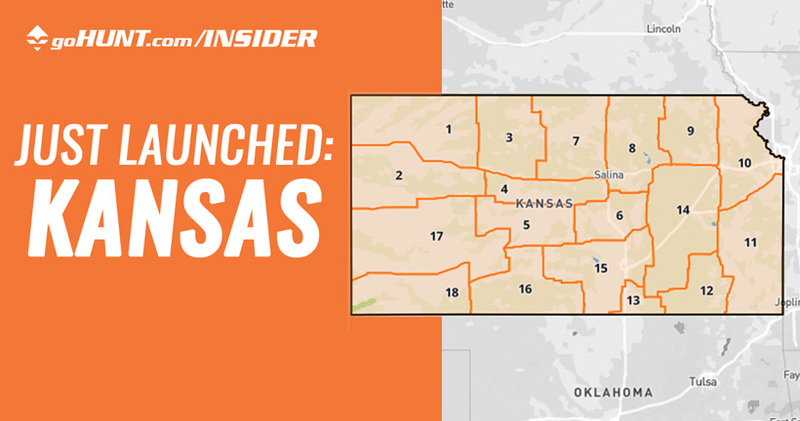 We are very excited to announce our newest INSIDER state: Kansas. Every state we add to INSIDER has it's own challenges and are vastly different when it comes to units, draw process and regulations. Kansas will add great value to people looking for another state to hunt, especially those who want to dabble in an amazing whitetail hunt! 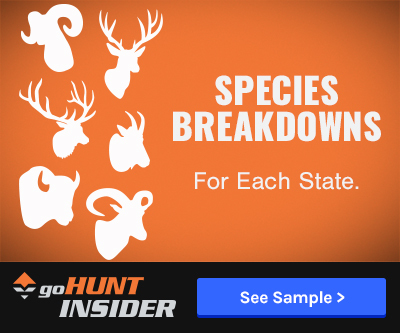 Like our other states, you’ll have Filtering 2.0 to decide where to apply and hunt with filters for trophy potential, draw odds, number harvested, weapon type, season dates and a lot more. Once you've gotten that portion of your research nailed down, you will be prepared to jump into our standalone Draw Odds page for even more draw odds data. If you play your cards right, Kansas could be a great state to look at for additional hunting opportunities. Kansas has four big game species: mule deer, whitetail deer, elk and antelope with a total of 18 different units across the state. 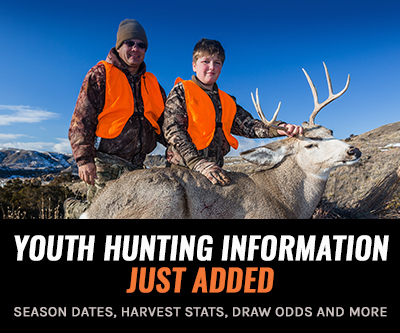 You will not only get an analysis of units, and seasons, but also species breakdowns, plus a State Profile that outlines how to apply and the fees associated with applying in Kansas. Kansas will now show up on the drop-down menu for Filtering 2.0. 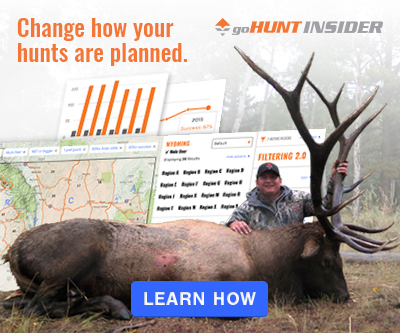 In Filtering 2.0, you'll instantly be able to narrow down where to apply and hunt for each species in Kansas. In a few clicks, you'll know what unit is perfect for your specific criteria. Screenshot of how to locate the standalone draw odds for Kansas. We also have Kansas Draw Odds for all species and all residencies. As always, our data science team was hard at work making sure that Kansas draw odds meet the same rigorous standards as all of our other states. If you just want to view draw odds, you can quickly navigate to our standalone Draw Odds Page and select Kansas to see detailed draw odds for each unit. Note: Draw odds are also available on Filtering 2.0 and on each Unit Profile. We hope you enjoy this new addition to INSIDER. It’s pretty addictive to research a new state and possibly plan an out-of-state hunting trip. Best of luck in the draws. Stay tuned for more enhancements we are coming out with in 2019. We are not stopping here! If you're unfamiliar with INSIDER, you can read more below. View a free sample Unit Profile in Kansas – see the level of detail INSIDER gives you for 4,200+ profiles across the West. I just want to say how great deer hunting is in Kansas. My brother killed a white tail outside Topeka, tided with one in England for 4 th. largest in the world. It is in the white tail hall of fame in Arkansas.